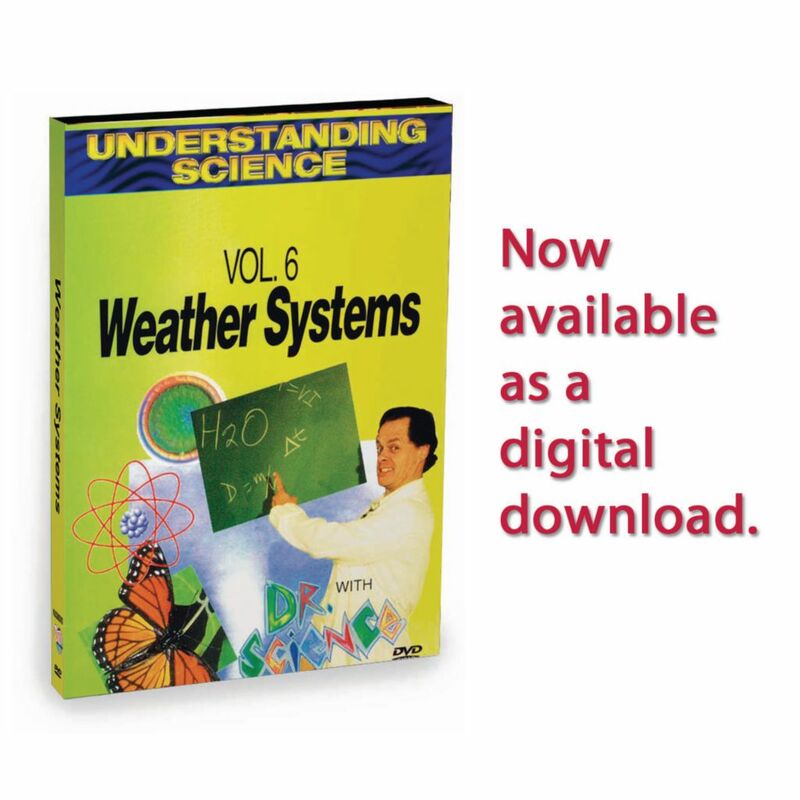 The Understanding Science series is designed to aid the instructor in explaining difficult scientific concepts in an easy to understand format. The presenter Doctor Science, brings the central focus to students in a fun way that is perfect for introducing basic scientific concepts. 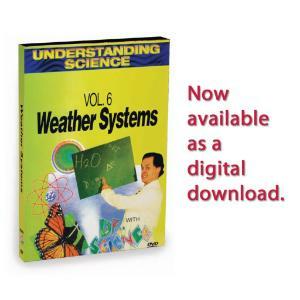 This program explains weather systems and its forms, how weather affects our lives, atmosphere, air density, radiant energy, convection currents, barometer air masses, winds, clouds and storms. Presents weather from the beginning of Earths history to present day conditions. Each program includes teaching strategy materials as well as student glossaries of the scientific terminology used in each volume. Dr. Science uses experiments that can be adapted to the classroom and easily performed along with the program.